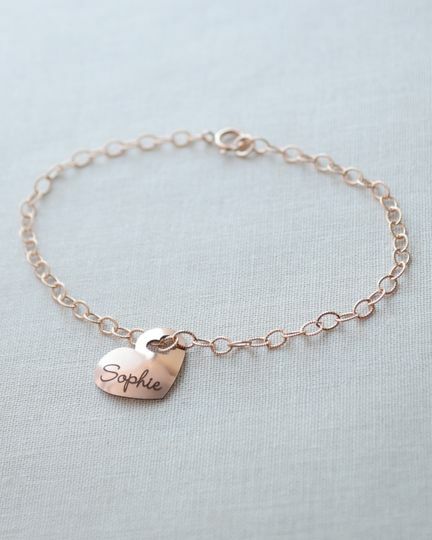 Petite, simple rose gold, gold and silver jewelry perfect for bridesmaids gifts. 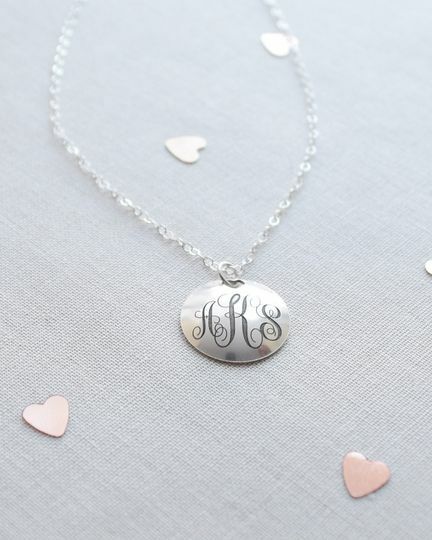 From custom engraved necklaces to handmade initial necklaces, I have something special for every occasion. 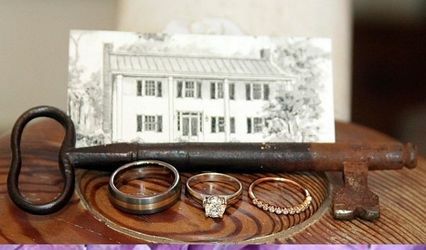 Please take a moment to check out my shop. I hope you love the jewelry you see as much I love making it for you! Of course not every piece of jewelry I make is petite or simple! 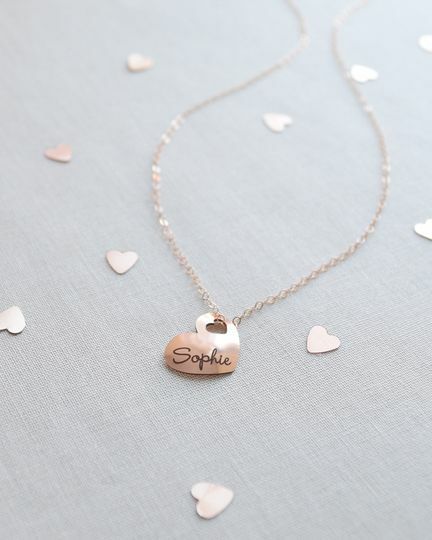 If you would like to request a custom rose gold, silver or gold necklace or earrings, reach out to me. 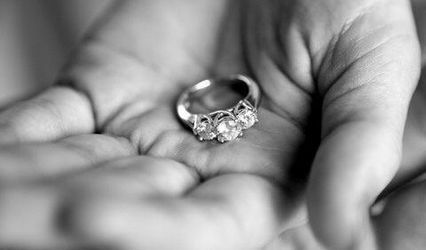 I would love to help you with your perfect piece of jewelry. 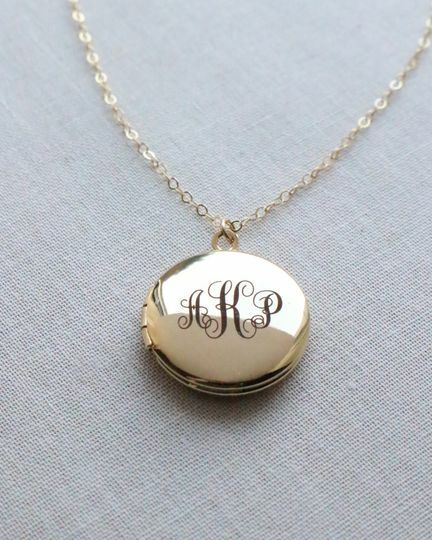 Engraved Monogram Locket Necklace in gold, silver or rose gold. Handmade Initial Ring. This unique adjustable ring is hand stamped on rose gold, silver or gold. 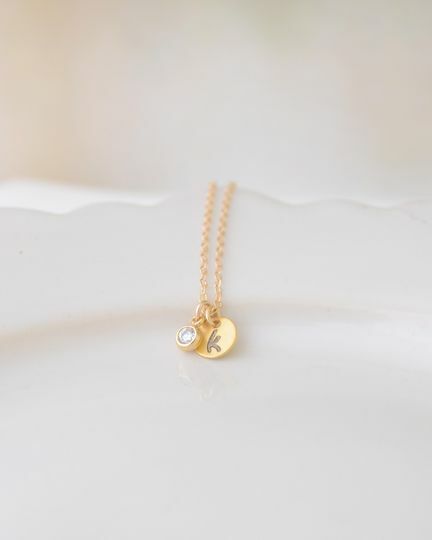 Classic Capital Letter Necklace. 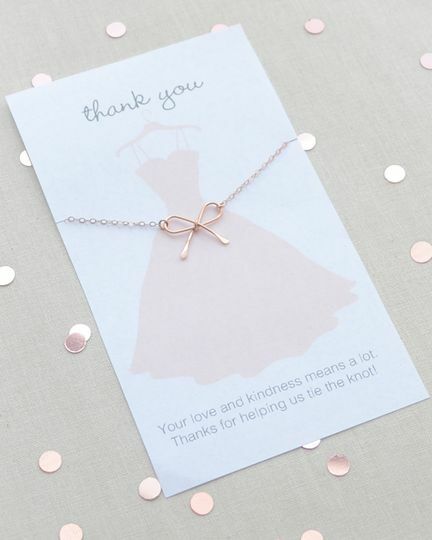 This petite letter is available in gold, silver and rose gold. Petite Handmade Infinity Necklace. Available in gold, silver and rose gold. Two Interlocking Circles are the centerpiece to this dainty necklace. Available in silver or gold. Small Infinity Stud Earrings. 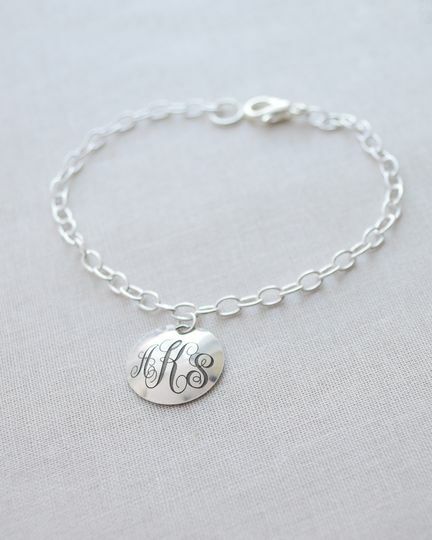 Handmade in silver or gold. 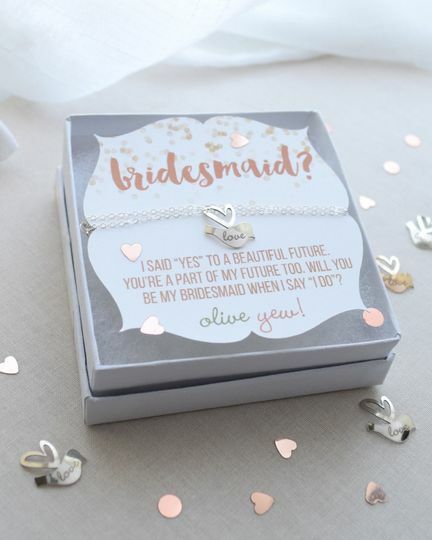 I purchased gifts for my bridesmaids from Olive Yew Jewels on Etsy.com. Angela was very helpful and easy to work with, she even helped customize the necklaces for me. I ordered eight tiny gold bird charms and each came in their own little tin. I will need to rewrap them in something like a gift bag as the tins pop open easily. The necklaces are so adorable, smaller than I expected, but still perfect! 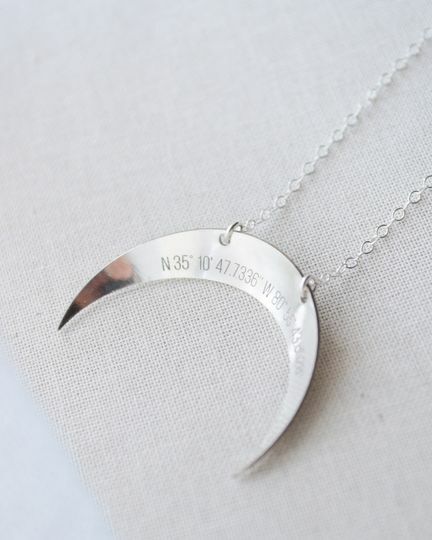 I placed my order and had the necklaces the next week. Olive Yew Jewels was very easy to work with and I'm sure my BMs will love their gifts!